The fires ignited in two conservation parks in South Australia’s Mallee region that were home to the only remaining South Australian populations of the endangered Mallee Emu-wren, and another fire in the Victorian mallee, 12 kilometres southwest of Ouyen, burnt the entire 13,000-hectare reserve that was one of two small populations in Victoria of the endangered Black-eared Miner. 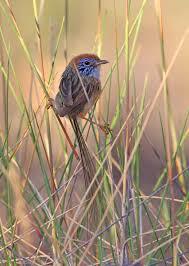 The only remaining population in the world of Mallee Emu Wren occurs at a single area in north-western Victoria. They became extinct in South Australia last summer after wildfires burnt them out. “The fact that we lost several significant bird populations in fires linked to a single heat wave event highlights just how vulnerable many of these species are,” says ecologist Dr Rohan Clarke from Monash University’s School of Biological Sciences. “There is nothing left of an emu-wren after a fire, not even a pile of ash,” says Professor Michael Clarke, head of Life Sciences at La Trobe University. These tiny birds are unable to flee an approaching fire, and any that survive the flames have nowhere to live after the fire has passed. He says that “the Mallee region, which is home to less than 3 per cent of the state’s at-risk population, has been repeatedly targeted for planned burns in recent years, with up to 17 per cent of the program being held in that area“. Ironically, the Mallee does not have high human populations! Government agencies will choose the least risky areas and the more convenient areas to burn, to complete their target, rather than protect human lives and property. According to Birdlife Australia, the Victorian Government (Lib) stands accused of all but guaranteeing the extinction of threatened Mallee birds as a consequence of its bushfire prevention policy. The Mallee emu-wren, in particular, was just one fire away from being wiped from the planet. At the end of last year, 2014, there were at total of 314 in Australia – and five of them, including the Victorian Murray Mallee, are in danger of losing the species for which The Mallee was one of the most important sites for birds in the world! 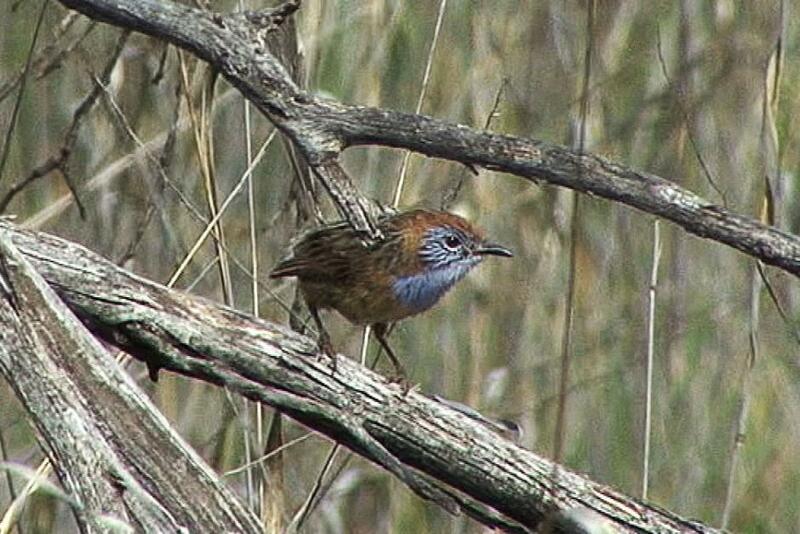 In 2006, it was estimated that less than 3000 Mallee Emu-wrens remained and are mainly restricted to conservation zones. With a highly fragmented habitat, each of the five or six isolated populations is particularly vulnerable to being wiped out by fire. After the devastation of the 2009 Black Saturday bushfires, the Victorian Bushfire Royal Commission set a yearly target to burn five per cent of public land to reduce bushfire risk across the state. Birdlife Australia’s head of conservation, and Guy Dutson, a world authority on birds of the south-west Pacific region, says “cannot be reburnt for at least 15 to 20 years”. The Mallee Emu-wren is about 10 to 15 cm in length and has a mass of 4 to 6.5 g. The adult male has a black bill and the adult female has a dark brown bill, but both sexes have dark-brown irides and pinkish-brown legs and feet. The Mallee Emu-wren occurs in mallee regions south of the Murray River, in south-eastern South Australia and north-western Victoria. The decline of the Mallee Emu-wren has mainly been due to the extensive loss, degradation and fragmentation of its habitat caused by broad-scale clearing and fire. Despite the listing of the Mallee emu wren under the Flora and Fauna Act, the Victorian Coalition failed to develop an action plan for its protection despite a massive expansion of native forest burning under the banner of “hazard reduction” burning! In fact most of the Mallee burning in remote areas contributes little to improving the safety of lives and property, but is about fulfilling government targets! BirdLife Australia welcomed the announcement in February this year that the Federal Government will fund a program to protect the birds. The announcement builds on the outcomes of an Emergency Summit which BirdLife Australia hosted last year. The program will create an insurance population could be a lifesaver. Mallee Emu-wren and Black-eared Miner (VIC) got $110,000! However, a captive “insurance” population can’t replace species living where they naturally live, to further be extinguished on release by fires! It’s a band-aid, politically-motivated token, rather that the holistic approach of actually protecting the birds in their natural habitats! Australian wildlife, along with insects, and fungi,once played a key role in ensuring ‘cool’ burns rather than the all-devastating wildfires. The loss of leaf eating moths, dung beetles and a variety of leaf and coarse woody debris recycling insects is contributing to a potentially high frequency fire cycle. The torching of wildlife, assumed to be collateral damage to keep “us” safe, is barbaric, anthropocentric, and will fuel more fires by working against Nature, rather than with it. Habitat clearance and degradation has been the major threat to Black-eared Miners. 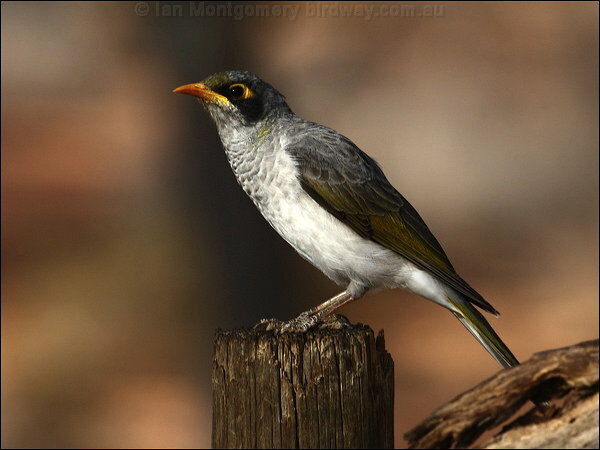 Old growth mallee is the preferred habitat of Black-eared Miners, and they prefer habitat that has not been burnt for 40 years or more. “Burning to stop more burning” could give Victorian residents a false sense of security that their State is fire-safe, when the burning has occurred in environmentally-sensitive areas without contributing anything to protect human lives and their assets. My partner and I have 500 acres of native (never cleared or burnt in 3 generations) Mallee scrub that has emu wrens. What can we do to support the reintroduction to other area? ?